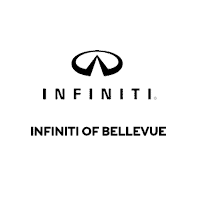 This review is for INFINITI of Bellevue sales team. Russ (Ruslan) Benyaminov and Darren Gertz helped me to get my dream car: 2019 INFINITI Q50 Red Sport 400. Russ is very professional and knowledgeable sales consultant with a great sense of humor! He allowed me to test drive 3-4 cars and helped to select my desired options and color. The entire buying process was easy and smooth. I highly recommend Russ's services and INFINITI of Bellevue. AVOID AT ALL COSTS (Sold me a car with extreme problems they covered up/and I have documentation showing so) Allow me to tell you why. We can skip the sketchy staff as that’s a given here, but move forward to the dishonesty. Two days ago, on Saturday I came in later that afternoon and purchased a 2015 Audi S3. Looked to be well cared for and had a clean car-fax. Lower miles and just what I was looking for. Eagerly a deal was made and some financing was to be done. I knew this, so I had applied already through my bank and been approved before entering the dealership. Upon working the deal details, Fred (Sales Manager) provides me with what appears to be a legitimate BECU document outlining tiers of credit worthiness and the interest rates tied to those tiers. He tells me I’m in one of the lowest tiers. Knowing this is false, I talk to him and he backtracks, saying they didn’t even send in to BECU yet and that they would do that now. They come back with updated paperwork and I’m in a much better tier now paying a much better interest rate. Fast forward to getting the car home. It sat most of Sunday and then come today, I get in to go to work. I start the car and immediately get a Check Engine Light. The engine is slightly stuttering and I go to look under the car. Some oil puddles have appeared. I immediately call a friend who runs a reputable shop locally for European cars. He scans my car an hour later and determines from the CEL alone that the dealership did the following:4 codes were stored in the car. 1 was for failing EVAP unit. 1 was for sensor issues. 1 was for a transmission issue. And the last was the largest. My car is AWD also referred to as Haldex. This car was beat so badly that the haldex failed and now only half of my drivetrain is working. I am front wheel drive right now. What’s worse is this dealership and it shows on the computer data, deleted the codes 198 times and it gives dates and times. This dealership knowingly covered up issues and sold me a car. When I addressed them, they denied it at first until proof was presented. They then offered to use the warranty I purchased to fix the car at their dealership even though they aren’t qualified. Also, it would have to sit on the lot for 30 days while I pay for it so that my 3rd party warranty can come into effect so they can use it to repair my car. In over a month from now.. they said that was the only option or take the car. So I took the car, as I refuse to leave it to their incompetence. The whole time, there was only one kind employee. The rest smug and in denial. Knowing nothing would come of it, I asked the police to the dealership who agreed with me and insisted I push this legally given the proof I have they sold a car with extreme problems and covered it up. I contacted my bank to discuss with them, which sent me to a few different people up the chain who insisted they do not want to be in a ‘cuddle’ program with this dealership any longer given their dishonesty and how gross their overall business practice is. If I had the choice, I would return this car 100%. I don’t want anything to do with it. This dealership should not be trusted, instead take your business down to Lynnwood or Seattle and waste not a moment more of your time.